Are you due for a hair drug test for opiates and worried you might not pass? In this 15-minute guide, I’ll describe proven products and home remedies that can remove all traces of opiate metabolites from your hair. But first, a brief explanation of what opiates are and how drug tests for opiates work. Opiates are a class of drugs derived from the opium poppy plant. Some, such as morphine and oxycodone, are essential in the medical industry. They are widely used for pain relief. Others, like heroin, are illegal. All opiates share one characteristic, however: they are highly addictive. Even legal prescription opiates like Vicodin can be addictive if abused. They are a major aspect of the current opioids crisis in the US. This is why when you interview for a job or college admission, you may be required to undergo a test for opiates. A test for opiates may also be required in child custody cases or criminal cases. For years the urine test was the most commonly used type of opiate drug test. But many companies and institutions are moving away from it as well as away from saliva and blood tests. This is because most opiates have very short half-lives. That is, they don’t stay in your body for very long. Most opiates cannot be detected in the blood, saliva or urine after three days. Some, like heroin, get eliminated very quickly. A saliva test needs to be done within 5 hours to detect heroin, and a urine test has to be done within 2-7 days. But things are quite different when it comes to your hair. Opiate metabolites can stay in the hair for up to 90 days after your last use. And that’s why hair follicle drug tests are becoming increasingly common. A hair follicle drug test checks your hair for the presence of illicit or prescription drugs in hair. Unlike a urine or blood test which detects use in the last few days, a hair drug test can determine whether you’ve used opiates within the last 90 days. Hair tests can detect usage beyond 90 days for some users, but labs don’t like to go beyond that. This is because it’s possible to challenge a positive result beyond the 90-day cutoff point. Weather and pollution can muddy the accuracy of the test. A hair test lab technician will collect about 100 strands of hair from different parts of your head. They will try to collect hair as close to the scalp as possible. If you have recently shaved your head, they may choose to collect hair from your body, usually from your chest or armpits. Your hair sample is then sent to a central test lab to undergo what is called an ELISA test. 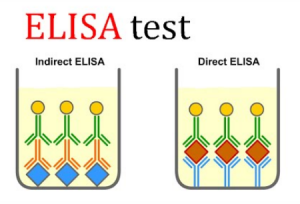 ELISA stands for Enzyme-Linked Immunosorbent Assay. This test determines whether the sample is negative or positive for opiates. If it’s negative, you’ll be notified immediately. If it’s positive, the lab runs another test to confirm the result and to identify the specific drugs present. 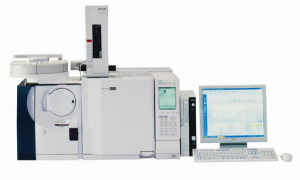 A second kind of hair lab test is called a gas chromatography/mass spectrometry (GC/MS) test. In this test, your hair is burned and the emissions are scanned for traces of specific chemicals. In rare cases, this kind of test may be inconclusive. This usually happens when the sample is not collected properly. A repeat test may be performed. Now let’s answer the burning question: how do you pass a hair drug test for opiates? If you were going for a blood or urine test, passing it would be much easier. Drink a lot of water, exercise, take herbal tea or just wait a few days for the drug to get out of the system. A hair drug test is much tougher to beat. This is because you can’t just flush the metabolites out of the body by eating lots of fiber, drinking gallons of water or sweating. Once the drug gets into your hair, it’s there to stay – for 90 days at least. 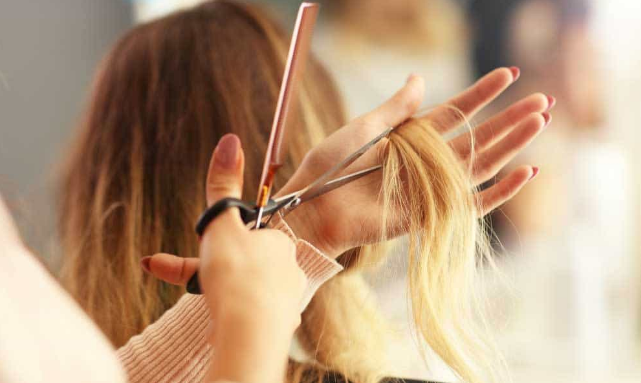 The easiest option is to wait 3-4 months after your last dose for enough clean hair to grow through your scalp (about 1.5″) – after which fresh hair will definitely be clean. But that doesn’t mean it can’t be beaten. Check online forums, and you’ll see hundreds of people talking about the different methods they used to pass a hair drug test. A lot of them do NOT work – check out our collection of some of the craziest things tried. Listed and described below are the remedies and products that have been proven to work. After that, I’ll also point out a few methods that will probably not work and which you shouldn’t waste your time (and money) on. 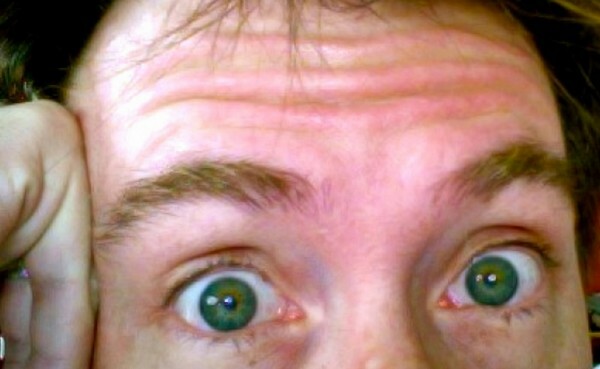 Note: Before you try these solutions, you may want a way to tell if they worked before you go for your real hair test. I recommend taking a test of your own before the main test. Many services offer online drug testing kits. They send you a kit, and you send them back a sample for testing. One of the most popular testing services is HairConfirm. You can get buy of their kits on Amazon. How much time you have before the test matters a great deal in whether you’ll be able to pass it. The longer you have, the better your chances. But whether you have a lead time of a few days or several months the first step you should take is to stop taking opiates completely. If you know you are going to get into college or find a job six months or a year from now, get clean and stay clean. That’s the best way to guarantee that you’ll be in the clear when tested. If you have several months (at least 3-4 months) before the test, just staying away from opiates is usually enough to pass the test. But to avoid any nasty surprises, get your own test a week or two before the official test to confirm that you are clean. Yeah, I know – this isn’t for everyone. But shaving your head and your body together will make it technically impossible for anyone to take a hair sample – which means you cannot technically fail. If you are going to shave your head hair, you’d better also shave any other body hair. If the lab technician cannot get a head or body hair sample, they may opt for a blood or urine test (which is easier to beat). 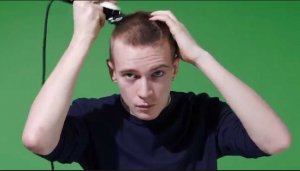 Some companies might take a shaved head as a sign of guilt especially if you had hair during the interview. Or the lab might refuse to carry out the test in which case you lose out on the job position. If you don’t want to shave your hair or raise suspicion by shaving, continue reading for some home remedies and products you can use to get rid of the metabolites from your hair. 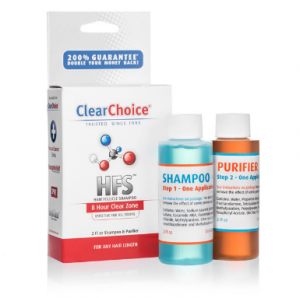 Many different cleansers and shampoos claim to get rid of opiates from your hair. Here are the ones that seem to work best according to people who have actually used them. This is one of the most popular deep-cleaning shampoos on the market. The manufacturer claims that it can get rid of many drugs and impurities from your hair shaft with just one application. It costs about $10 for a shampoo, a purifier and a conditioner. User reviews are mixed with some users saying it doesn’t work at all and other happy ones boasting that they got a job because of this shampoo. It seems the differences comes down to how people use it. On its own, the shampoo will most likely not work. Most success stories mention this shampoo as part of a cleansing routine. I’ll discuss shortly how to use these products including the famous Macujo method. 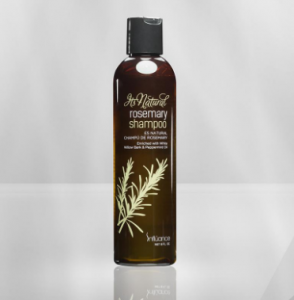 This is another popular deep-cleansing shampoo. It is more expensive than Zydot, but users say it is much more effective. Note: buy the older formula, not the new one. There are major differences between the two with the most notable one being that the older formula contains propylene glycol. Also: do not buy this shampoo from Amazon – you may end up getting get the newer formula which will not help you pass the test. This shampoo guarantees drug-free hair for up to 8 hours after application. But many users say it is not effective on its own. 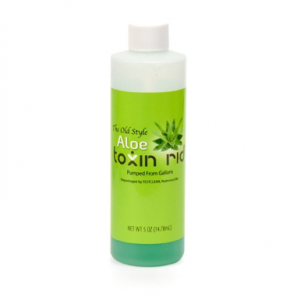 For best results, use together with the old style Aloe Toxin Rid shampoo. When it comes to shampoos explicitly designed for drug tests, your everyday shampooing routine won’t do. You’ll have to be more aggressive on your hair. You’ll probably need to use extra products in addition to the shampoo such as vinegar and salicylic acid. The first thing is to make sure you start using the products on time. Leave yourself with enough time to completely get rid of the opiates. For most cleansing methods, the recommended period is 3-10 days. You’ll need to go through the cleansing routine every day including the morning before the test. The most famous hair-stripping regimen is called the Macujo method, also referred to as the Growman method. In this regimen, you’ll need the old-style Aloe Toxin Rid shampoo, a salicylic acid shampoo, Tide detergent, and vinegar. Repeat this regimen daily for several days or a week, right up until the day of your test. 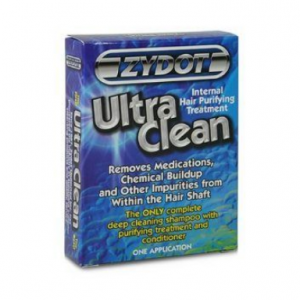 Many people finish off with Zydot ultra clean shampoo on the morning of the test. I explain the full Macujo hair detox method including step by step instructions in this article. Macujo was first developed to remove traces of THC metabolites (from marijuana) from your hair, but it can also be used to get rid of opiates. From what I’ve seen in my research for this article, the Macujo method is quite useful in cleansing your hair of opiates. A lot of people who have used it say it definitely works. Another favorite routine is the Jerry G method. It originated from a user on a Cannabis.com forum with the same name. Again, this method was initially developed for marijuana users but can also be used to get rid of opiates. This method requires hydrogen peroxide or hair dye and baking soda. You can learn about the Jerry G hair detox method, including step by step instructions in this article. Both Macujo and Jerry G are harsh on your scalp and your hair. So be ready for some hair damage and scalp tenderness. The second method is especially brutal because you have to bleach your hair twice. Once you pass the test, work on getting your hair back in shape. Look for a gentle restorative conditioner and shampoo and keep your hair well moisturized. Buying everything you need for the Macujo or Jerry G method will set you back $200-$300. If that’s beyond your budget or you’d rather not spend all that money, you can try the following other home remedies. They use ingredients you can easily find at home or at the local grocery store. But beware: these are not nearly as proven as the two methods explained above. Because they are not as potent, I recommend using these DIY methods only if you are a light user and have two months or more before the test. 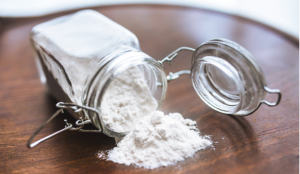 Baking soda is often used as an alternative to shampoos. With repeated use, it can get rid of some opiate metabolites from your hair. To use baking soda, you’ll want to turn it into a paste first. This will make it easier to massage it into the scalp and hair strands. Prepare the paste by mixing 1 cup of sea salt, 1 cup of apple cider vinegar and 2 cups of baking soda. You can also use water + baking soda paste (1 part baking soda, three parts water) and then do a vinegar rinse (1 part apple cider vinegar and four parts water). Once you’ve repeated this routine for several days, get your own hair test done to check if there are still any traces of opiates remaining. Keep at it until you get negative test results. This is a natural alternative to the deep-cleansing shampoos used in the Macujo and Jerry G methods. It’s not nearly as powerful as those shampoos, but it’s far gentler on your hair. You don’t have to worry about an itchy scalp or damaged hair. You can buy natural rosemary shampoo online or make your own at home. Mix dry rosemary leaves with grapeseed oil and leave them on low heat for 3 hours. Cool the mixture overnight before using it. To use this shampoo, apply it generously on your scalp and hair and let it rest for half an hour. Rinse off with a Zydot shampoo or any other detox shampoo. Repeat this method daily until the day of your test. There are natural cleansers that you can use on their own or add to your detox plan. One of the most popular ones is bentonite clay which is used in many hairs detoxing recipes online. One of the simplest involves mixing the clay with water and vinegar to create a muddy paste that you then use on your hair. Another natural alternative is activated charcoal. It works by pulling out toxins and impurities which bind to the charcoal. To use it, just add water to some activated charcoal until it is thick enough to spread in your hair quickly. You can also add activated charcoal to your shampoo. If you can get some Aloe Vera gel, it’s also fairly good at cleansing hair. You can use it on its own or mix it with some baking soda. Vinegar is often used as an ingredient in other homemade hair cleansing remedies. But you can also use it on its own to get rid of metabolites from your hair. Use white vinegar or apple cider vinegar. First, soak your hair in it and let it sit for 15 minutes. Soak your hair again but this time with 2% salicylic acid. Let the mixture of vinegar and salicylic acid sit for 30 more minutes but don’t rinse. Add a little liquid detergent to your hair and scrub until it lathers. Leave for another half hour. Finally, rinse your hair and apply dye (same color as your hair). Repeat the procedure at least 2-3 times before the test. You may have heard some people say that detox drinks can help flush out opiates from the body. That’s partly true. Detox drinks work by diluting your urine to the point where the metabolites cannot be traced. They can help if you are getting a urine test. But detox drinks are completely useless for beating a hair test. No amount of water or detox drinks will flush the metabolites out of your hair follicles. If you want to try detox drinks, go ahead. There’s usually no harm. But you are most likely wasting your time and money. Here are some frequently asked questions about passing a hair follicle drug test for opiates. For more FAQs, see our full collection of frequently asked questions on how to pass a hair drug test. Am I assured of passing my hair test if I use the methods you describe? NO. I cannot guarantee that you will pass the test, no one can. But your chances of passing will go up. The reason why I cannot give a definitive answer is that different people react differently to opiates. Factors like the thickness and growth rate of your hair, your body weight, whether you are a heavy or light user, age, metabolism, the potency of the drug and overall health greatly determine how effectively you can eliminate the metabolites from your body. Can I get a false positive? It’s rare, but it can happen. If you consume a lot of poppy seeds or take certain medications, your hair might end up flush with metabolites associated with the use of heroin and other opiates. If there’s anything that might cause a false positive, disclose it before the test. How much time do I need to cleanse my hair? With some cleansing routines like Macujo, even three days is enough to get rid of opiates from your hair. But generally, the more time you have, the better. 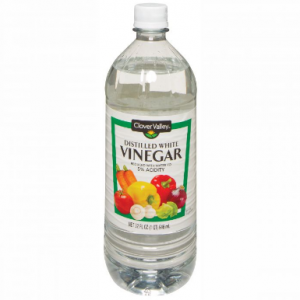 If you have a month or more, you can afford to use slower-acting cleansers like vinegar and baking soda. If you have four months or more, you can just leave the drugs to fade off on their own. But if you have to take a test a few days from today, opt for an aggressive cleansing routine using detox shampoos. What will happen if I am bald or I shave? The lab technician may take hair from another part of the body or cut less than the standard 1.5” of hair from your shaved head. If the lab tech cannot obtain any head or body hair, they may ask for a blood or urine sample instead. In some cases, you could be flat-out denied a test or be flagged as FAILING simply for not coming prepared. 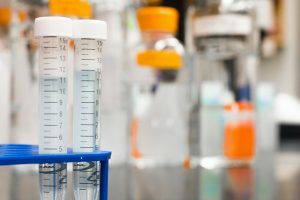 If you have any further questions about this subject, check out my extensive Hair Follicle Drug Test FAQ page or the home page. « Look At These Insane Things People Do To Pass A Drug Test! » How Long Do Drugs Remain in My Hair, Blood & Urine?